In April this year Ilkley Tennis Club announced its intention to apply for planning permission to expand, including creating a new car park in an adjoining field. As walkers on the Dales Way know, the route follows the already busy tennis club access road so the idea of even more traffic was worrying to the Dales Way Association committee. 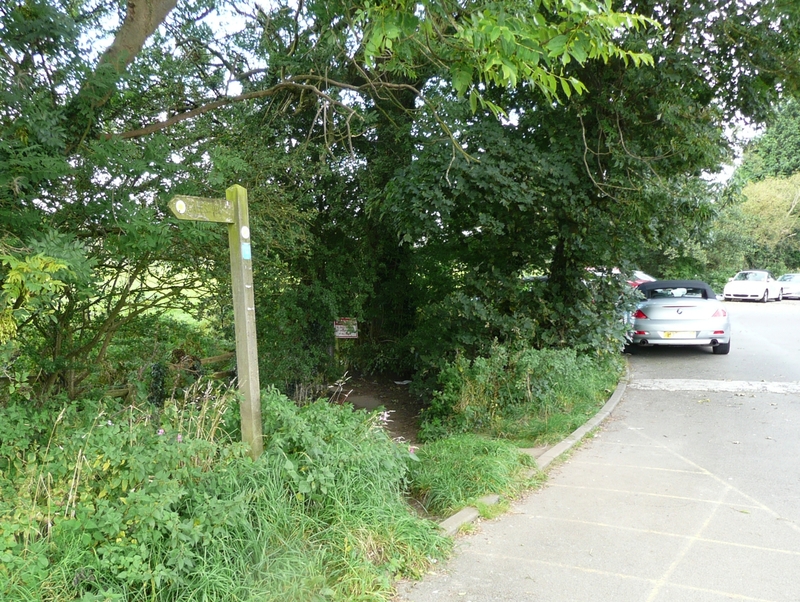 Along with residents we put in our objection and the tennis club revised the plans, dropping the proposed overspill car park and creating a pedestrian walkway alongside the road. The new plans were approved this week on condition that drivers are not allowed to park on the walkway. We hope very much that this will mean a safer route for Dales Way walkers as they leave Ilkley and head out into the peace and quiet of Wharfedale. This entry was posted in Uncategorized on August 25, 2013 by Chris Grogan. The new bridge on the Cam High Road which crosses Gayle Beck is now open. 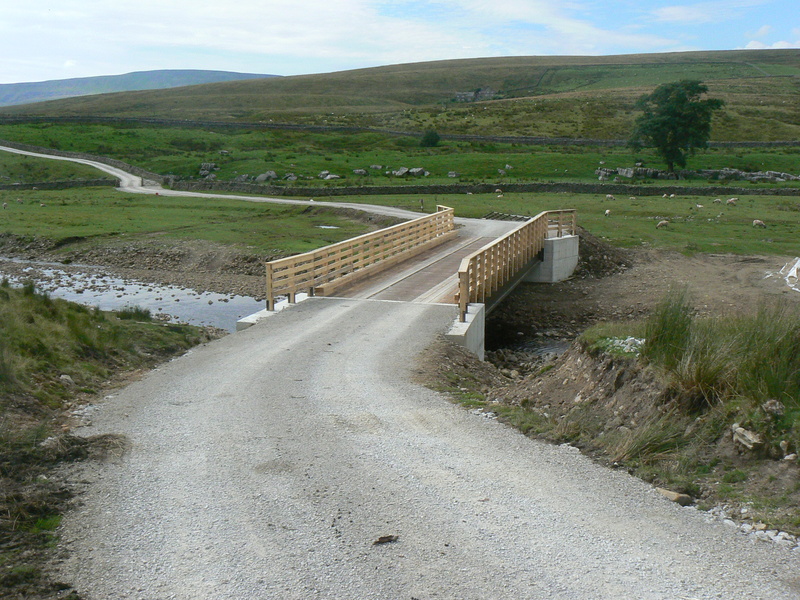 Fortunately, good weather has meant that the closure of the bridge hasn’t caused too much disruption for Dales Way walkers. There are still some ongoing works to finish off the bridge, so walkers should follow any directions from construction workers on the site. The original footbridge was removed to be replaced by this new road bridge, capable of taking the 40-tonne logging trucks which will be used to remove logs from Cam Woods. Logging traffic should be restricted to short early morning and late afternoon sessions. Logging is expected to continue for 10 years. One advantage for walkers of this work is the establishment of a permissive track parallel to the busy Blea Moor Road down to Far Gearstones, taking the route off road for this short section. This entry was posted in Footpath and tagged bridge, Cam High Road, Dales Way, Forestry, Gearstones on August 17, 2013 by DWA.